Frost proof gardenia plants promise to hold onto their buds against spring frosts, but do they actually live up to their promise? If you long to grow gardenias but your garden is starting to look like a gardenia cemetery, it may be time to check out this gardenia. Many gardeners love the sweetly scented blossoms of gardenias. Yet gardenias are notoriously finicky plants, demanding their soil be just so and their moisture levels perfect. 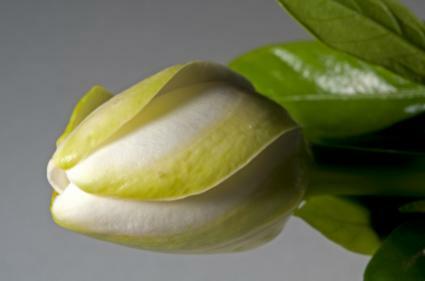 Even if you get all the growing conditions right and the gardenia develops buds, if a spring frost nips their buds the entire flowering season can be lost instantly; all the buds can drop off in one night. Frost proof gardenia plants promise to be sturdier than their various cousins. Gardenia jasmonoides "Frost Proof" hails from China. It's bred to withstand cooler temperatures and may be just what you're looking for if you've tried other gardenias with little success. Most gardeners enjoy gardenias for their flowers. The flowers on this gardenia are white to cream colored and highly fragrant. Frost Proof begins blooming in the spring, and with the right care and conditions it will continue to bloom throughout the summer and even into the fall, making it a highly desirable plant.The foliage is another plus. Frost Proof is an evergreen gardenia, which means it retains its glossy green leaves throughout the winter. That will add beauty to the landscape and places for birds to hide during the wintertime when many other shrubs and trees lose their leaves. Use this plant as a landscape shrub, foundation plant, or a container plant. Leave plenty of space when planting this gardenia. It grows up to four feet tall and about three to four feet wide. Frost Proof can be grown outdoors in zones 7 to 9. Choose a garden location that receives full sun to partial sun, at least four hours of full, direct and bright sunlight per day. Like other gardenias, it may do better with morning sun and afternoon shade, so a spot along the eastern or southeastern part of the yard may be the perfect place for your gardenia. Gardenias prefer moist, well drained acidic soil. It's a smart idea to have your soil tested yearly at your local garden center, or check with your local County Cooperative Extension Office to see if they conduct soil tests. Some do and some don't, but most Cooperative Extension Agents can help you interpret the results of commercial soil tests and recommend steps to improve or adjust the soil conditions so they are suitable for your new gardenia plant. The soil pH for gardenia plants should be around 5.6 to 6.0. Add compost and other amendments to the soil prior to planting. A good mulch around the plant can retain moisture near the roots and suppress weeds. Be sure to keep your gardenia moist but not soggy. Don't let it dry out between watering sessions. This stresses the plant. You can rely upon natural rainfall, but use a rain gauge to measure the rain your gardenia receives, and if it's less than an inch per week supplement it with water from the hose or a watering can. Purchase Frost Proof gardenia plants at your local nursery or garden center. You can also purchase this plant from Brighter Blooms Nursery.